This award is sponsored by the Department of Microbiology and Immunology. Prize of $200 plus a Certificate. Awarded to the top student in 2nd year BSc (MIIM20001 Principles of Microbiology & Immunology + MIIM20002 Microbes, Infections and Responses). Successful recipients will be notified writing in Semester Two of the relevant year. 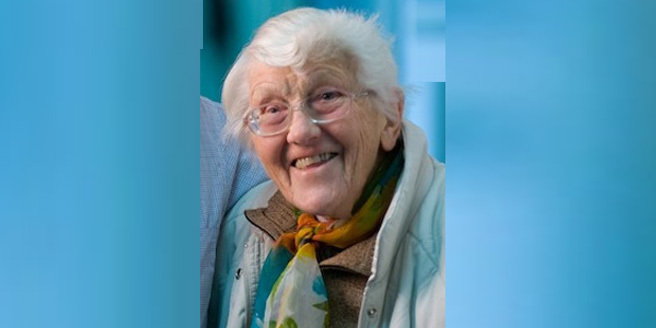 Nancy first joined the University of Melbourne in 1952 when she was appointed as a Senior Demonstrator by Professor Syd Rubbo in the then Department of Microbiology. In 1953 she was appointed as lecturer. Early in her career she set up the first Applied Microbiology course in Australia and in 1982 was appointed as a Professor in our Department, a position she held till her retirement. Notably, she was the fourth woman to be appointed Professor at the University of Melbourne. Throughout her career she was instrumental in bringing together the two worlds of academia and industry serving as Chairperson for the Cooperative Research Centre for Water Quality and Treatment, a board member of the CRC for Freshwater Ecology, a committee member of Australian Water Advisory Resources Committee, the Council of the Australian Academy of Technological Sciences, the National Commission for UNESCO plus many others. Nancy was also Chancellor of La Trobe University from 1992, a position she held until her retirement in 2006. In the latter part of her career Nancy became involved in the Surveillance of Genetic Engineering and in the early ‘80s she was head of the Genetic Manipulation Advisory Committee and was chairperson of the Commonwealth government’s agency for the surveillance of genetic engineering. She sought to champion this cause through interviews with the media. She received a number of honours over the course of a long career. In 1977 she was awarded a MBE for her work in biological sciences and in 1990 she was made a Companion of the Order of Australia (CA). She was a Fellow of the Australian Academy of Technological Sciences and Engineering (FTSE), a Fellow of the Australian Academy of Science (FAA), an Honorary Life Member of the Australian Society for Microbiology, and an honorary life member of AusBiotech. In 1993 the University of Melbourne awarded her an honorary Doctorate of Science. Nancy was widely regarded as a national treasure and was one of five Australian scientists to be featured on postage stamps. The CEO of Bio21 Cluster at the University of Melbourne, Dr Jan Tennent, very aptly described her as the "undisputed First Lady of biotechnology in Australia". In 1987 Nancy was made Emeritus Professor and continued working within the Department up until her retirement in 2012.